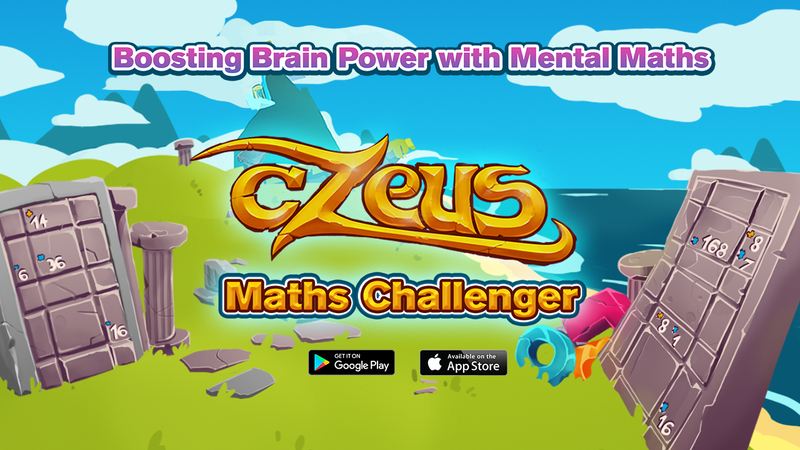 The Mathematical Games Company is launching a brand new app, cZeus Maths Challenger, designed to tackle the nations maths crisis. The innovative app, which has a multiplayer version with 6 levels, will turn anyone from schoolchildren to grandparents into a numbers champion. The grid-based puzzles are highly enjoyable and players get lost in the mystical world of cZeus Maths Challenger while it simultaneously sharpens their brains as they play. The app is the maths version of scrabble and players improve their number skills every second without realising it. Players can also invite family and friends to join in the fun of becoming a maths genius by setting them their own weekly maths challenges and private competitions. Ideal for parents and teachers interested in engaging children with maths, cZeus offers coins, exciting customised competitions and a special winners trophy to the top players. cZeus Maths Challenger is free to use and launches in June.